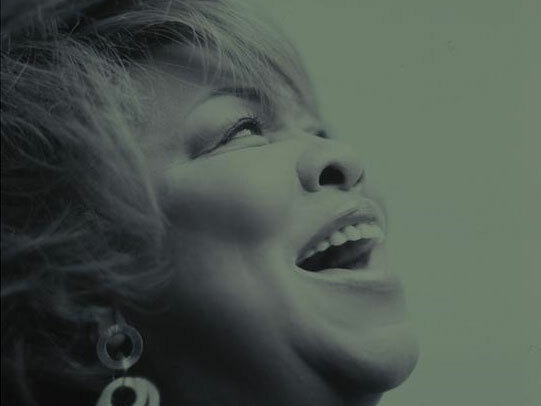 First Listen: Mavis Staples, 'You Are Not Alone' A family gospel and soul band with major hits in the 1970s, The Staple Singers touched the hearts of a lot of musicians. Some of them went on to write the songs Mavis Staples covers on You Are Not Alone, produced by Wilco's Jeff Tweedy. Hear the album in its entirety until its release on Sept. 14. You Are Not Alone, the new album from legendary gospel and R&B singer Mavis Staples, was produced by Wilco's Jeff Tweedy. But this is not some sort of Mavis Staples indie-rock record. The mutual admiration between Tweedy and Staples can be heard throughout You Are Not Alone. You can hear it in the heart, soul and sound of the classic tune "You Don’t Knock," just as it comes through in the title track, which Tweedy wrote for Staples during the session. She called the session at Wilco's studio (The Loft) one of the most spiritual sessions she's had, and it shows. A family gospel and soul band with major hits in the 1970s, The Staple Singers touched the hearts of a lot of musicians. Some of them went on to write the songs Mavis Staples covers on You Are Not Alone, though she also tackles the likes of John Fogerty, Randy Newman, Rev. Gary Davis and Pops Staples. Mavis Staples and Jeff Tweedy share a love for Chicago, the blues and the intertwined nature of folk and gospel, and that all comes out clearly on this record. Tweedy's production allows Staples' voice to serve as the center of You Are Not Alone, but the band is crucial, discerning and supportive. Rick Holmstrom is her soulful guitarist -- Staples called him "Pops Jr." when they performed a Tiny Desk Concert with him this summer -- while other musicians on You Are Not Alone include Kelly Hogan, Wilco's Patrick Sansone (on keys and vibes) and Tweedy himself (on bass, guitar and vocals). You Are Not Alone will stream here in its entirety until its release on Sept. 14. Please leave your thoughts on the album in the comments section below.